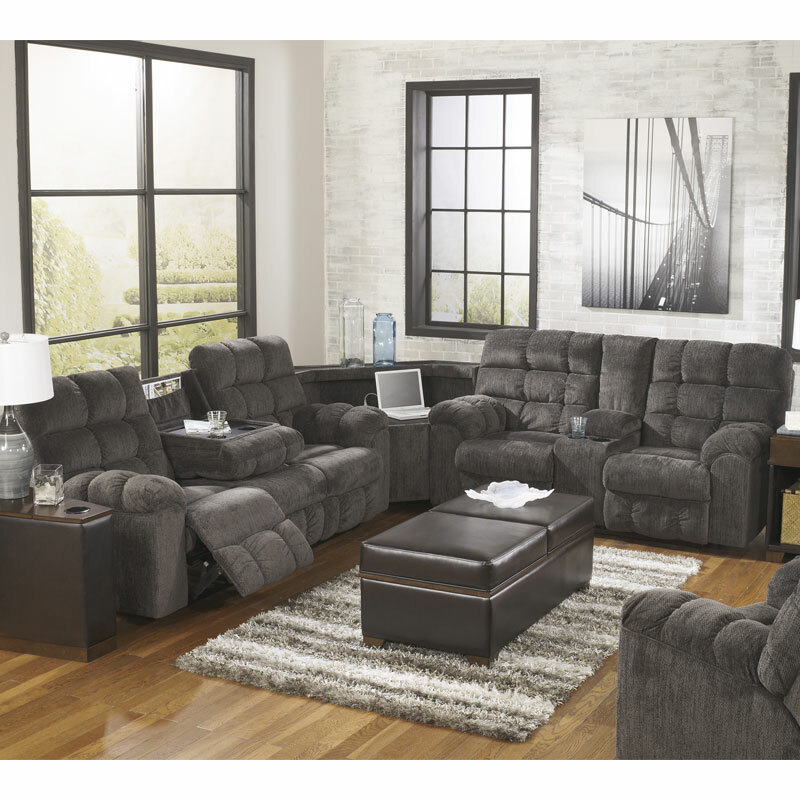 What does the Acieona 3-piece sectional have to offer? What DOESN'T it have is more like it. Both the sofa and loveseat offer dual-sided reclining. Sofa is centered by a drop-down table with cup holders-great whether you like having your laptop handy, or you're simply doing the Sunday crossword. Loveseat also offers dual cup holders and a storage console. No worries about keeping devices charged, either, since the wedge has built-in electrical and USB charging stations. But here's the best part: it's over-the-top comfortable, with plush support in all the right places, wrapped in an ultra-soft chenille upholstery.